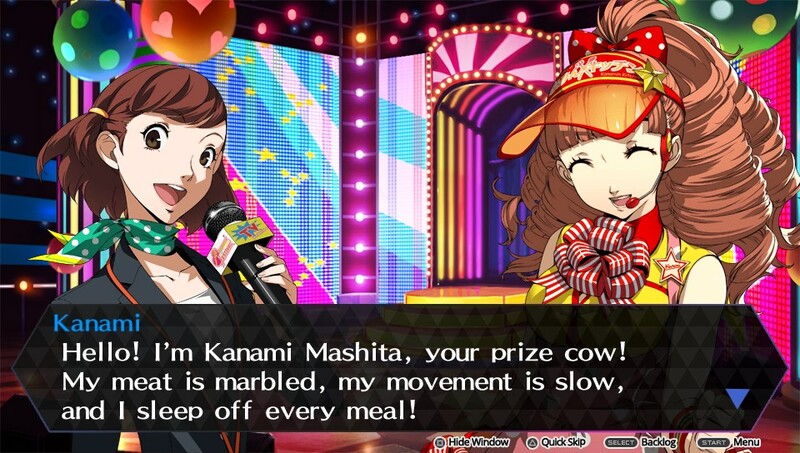 Review: Persona 4: Dancing All Night | "DESTROY ALL FANBOYS!" Sure, the premise is supremely goofy and practically guaranteed to make some of the more obstinate old-school fans of the long running Shin Megami Tensei and Persona franchises get a bit cringe-y. 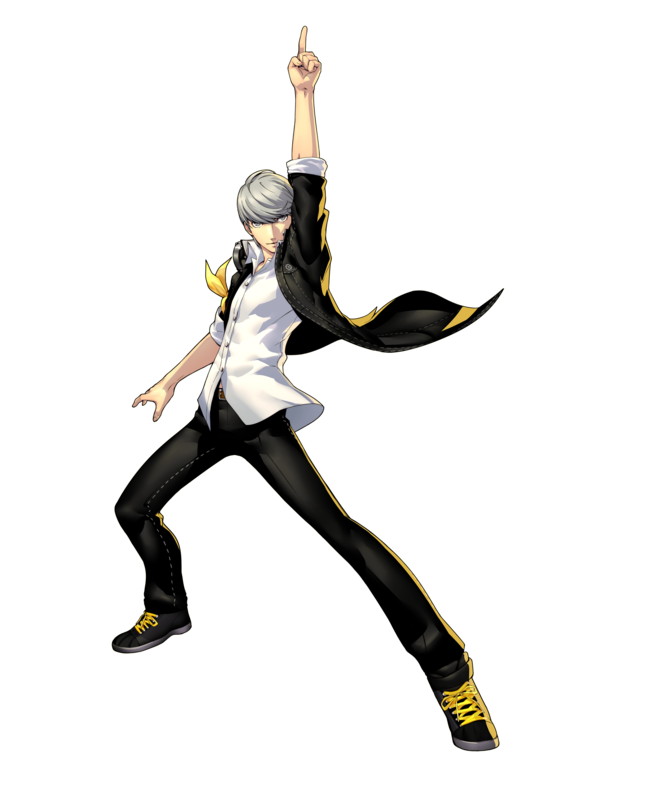 But Persona 4: Dancing All Night manages to shake off most any negative vibes thanks to it not only being a pretty decent rhythm game, but a really well-made spin-off to the Persona 4: Golden (that’s also gotten a pretty darn good 2D fighter with an even better follow up). 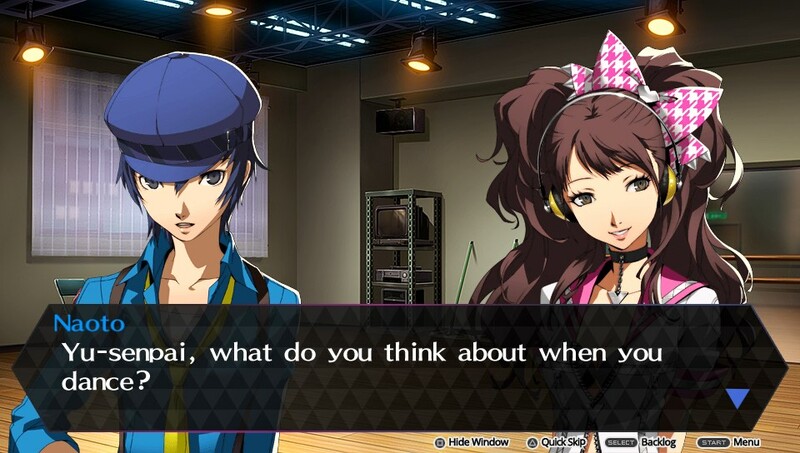 Keeping the surviving characters and situations from P4 intact and working them into the game’s plot was an inspired touch that’s hopefully going to sell those gamers who are only buying this for music and gameplay into picking up P4:G at some point if they’ve yet to. On the other hand, if you go into P4: DAN with skeptical intent, don’t expect to be knocked off your feet by the game’s premise, how some characters act and the overall gameplay that may not be your cup of tea. Fully enjoying this one means throwing caution to the wind, diving in feet or face first and letting the music and atmosphere wash over you like a sudden summer rain shower. 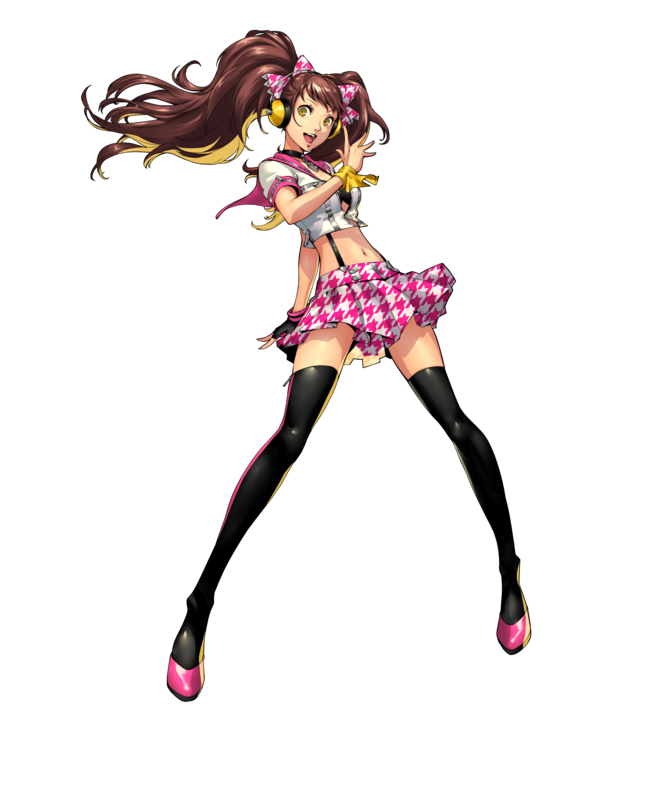 The story has teen singing sensation and Investigation Team member Rise Kujikawa needing to enlist her fellow IT members into a dance performance for an upcoming music festival. Those friends of hers end up getting mixed up in a bigger deal mystery when other performers go missing and something shadowy is the culprit behind it all. Of course, defeating the darkness can only be done by digital dancing up a storm, and that’s where you come in. Unlike other rhythm games where “plot” is not only an afterthought, but seen by some gamers as naught but a distraction from the finger gymnastics they want to get done, P4:DAN gets you hooked into its story from the get-go. Unless you pop into Free Dance mode and have at it, it takes about 15 minutes of cut scenes before your first actual lesson. This works in the game’s favor, showing the story here is worth playing through despite it bridging the gap between campy and serious with more regularity than the results of eating a box of prunes daily. Gameplay is initially simple to pick up, but new players need to play attention to the tutorial sessions and perhaps practice a bit outside the story. While there’s an easier difficulty setting for those who want to enjoy the story as it plays out, learning the game mechanics will help you score more points and rack up some nice rewards. 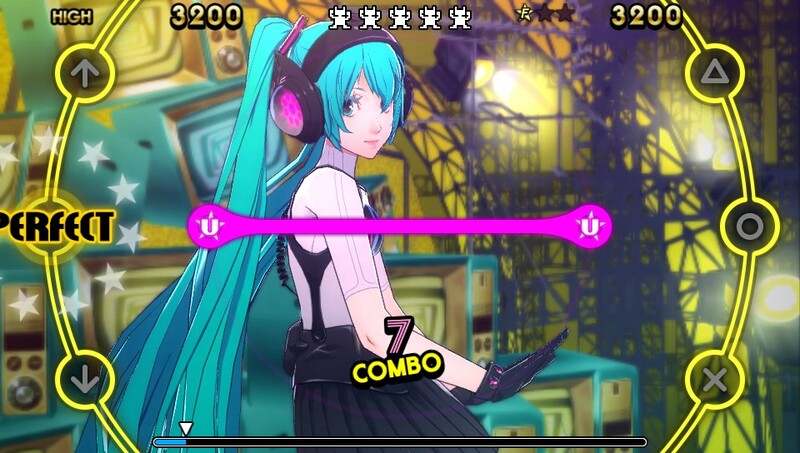 As your character dances away in the center of the Vita screen, symbols corresponding to the one or more face buttons radiate outwards, requiring tapping the correct keys at the correct times. There are also colored rings that radiate outwards that require some analog stick movement and some moves where tapping the touch screen in time is a must. The big key to success is NOT watching your character dance like a maniac, but to pay attention to hitting those notes, rings and anything else that drives your score upwards. Get it right and keep the crowd happy and you’ll score mega points. Get sloppy and tap-happy and it’s not going to look good on those ratings. Earned points can be used to customize your characters in some sensible to really offbeat outfits and yes, it becomes a bit of an obsession in clothing your IT members in all sorts of cool gear. You’ll see everything from stylish suits and evening wear to face masks, comically-sized noses and even swimsuits (which are currently free DLC for the ladies in the IT). Musically, the tunes are excellent overall with a selection of revised and remixed P4 tunes taking center stage. However, including current DLC the song count is somewhat lower than other rhythm games on the market with under 30 songs and remixes total. Hopefully this will change, but you shouldn’t get too tired of what’s here. While you’ll be dancing to the same beats over and again, you’ll certainly get familiar enough with them that you can challenge the harder modes with their faster and more precise required timing earlier than expected. That said, those harder modes do throw a hell of a lot at you. The options allow a bit of tweaking settings to your liking, but man, do things get busy when the BPM increases and your digits run out of gas mid-song. Visually, the character art in cut scenes and the dancing stuff all look spectacular. Even if you go in grumpy, between the colorful art style and even more colorful dancing going on, that sour mug will be filled with sweet candy goodness on a regular basis. If there’s a sore point here, it’s that certain characters important to the Persona series aren’t represented here at all. 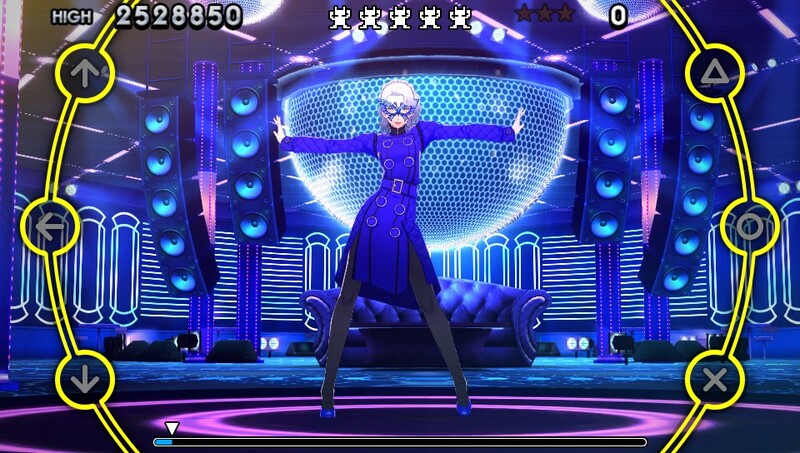 The Velvet Room’s Igor gets dumped entirely in favor of a costume for one of the characters and a fake nose you can snag from the shop. Boo. 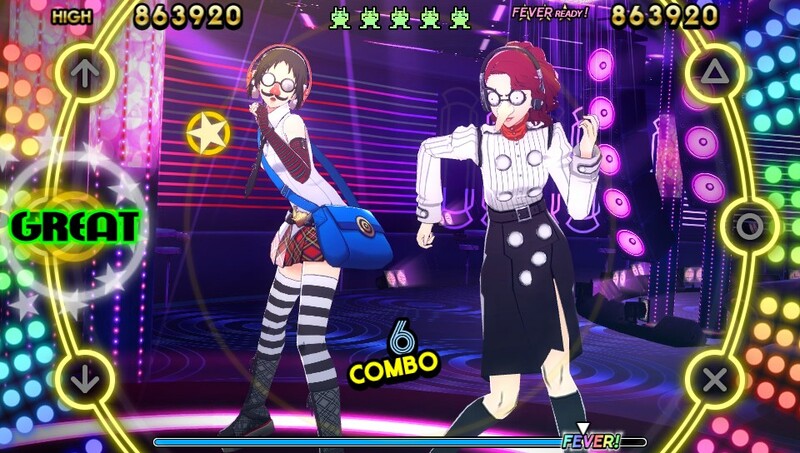 It would have also been cool to see a few of the old Persona characters or summons show up as playable dancers. But all you get is Sega’s popular Hatsune Miku and as paid DLC along with a handful of other characters you may or may not want to shell out some extra scratch for. At the end of the day, your enjoyment of what’s here is very much like really learning to get down and boogie on an actual dance floor. Longtime fans with the raised eyebrows don’t need to get too deep into how serious you think the characters should act (because every here gets silly or is out of expected character at some point) because the premise itself requires enough suspension of disbelief to fill a small stadium. Just go with the funky flow and let your fingers dance across that Vita screen. Those used to the quirky nature of Japanese games and the bulk of rhythm games in general will have a blast and want more. Or at least a follow up with more tunes and less remixes. I’m sure there are those out there who want some sort of ability to listen to their own musical selections, but that’s a problem that’s an entirely different egg to crack for a game such as this. Now, if you’ll excuse me, I have some Free Dancing to do. 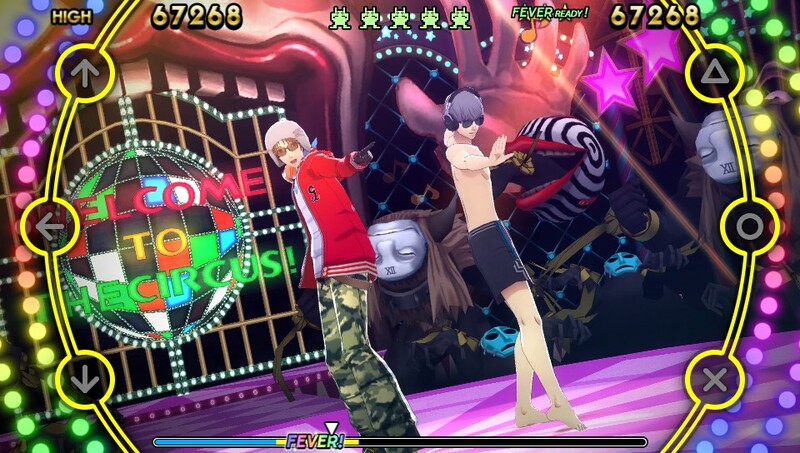 This entry was posted in 2015, Commentary, DAF, Features, Holiday Gift Guide 2015, Humor, Updates and tagged Atlus, BUY This Game, Dance Fever, Digital Games, DLC, Downloads, Gallery, I Got Rhythm!, Imports, Japan, Music, Omake, P-Studio, Persona 4: Dancing All Night, Playstation Network, PlayStation Vita, Previews, PSN, Reviews, SCEA, Screenshots, SEN, Sony, VGA 101, Videogame Appreciation 101, Videogame Previews, Videogame Reviews, Videogame Trailers, YouTube by geelw. Bookmark the permalink.